You'll are missing out. Noir Spiderman is where it's at. What other suit has A DECORATIVE, USELESS GUN?!?! Yeah, I am surprised how that new design grew on me. When I first saw it, that white spider stood out like a sore thumb. I really dig it now. I think it helps visually as you swing around as well. I mean, when you're the actual Spider-Man, you have to be ahead of the curve. Something I learned about suits last night. Every suit you buy has a special power. Like the Advanced suit builds a reserve of focus you can tap into. It turns out you can slot the power of any suit into any other suit. For example, I am using the Stark suit, which normally has the Spider-Bro power, but instead I'm using the Advanced Suit's focus reserve. It was a nice touch allowing you to separate the suit's power from its cosmetics. 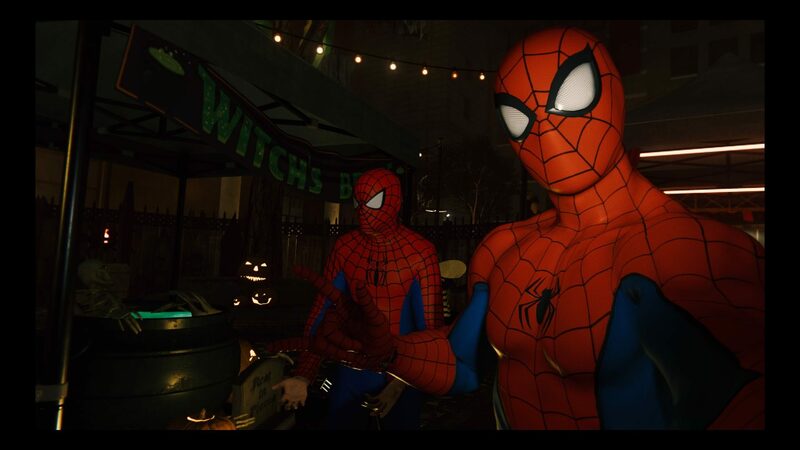 I prefer the Web Blossom from the repaired Classic suit to end fights (or a wave of a fight) quickly. Web Blossom is the one I use the most, though the electric punch one can be pretty good (especially if there's a bonus objective for electrified enemies). The Iron Spider legs are also fun. The Web Blossom will still temporarily web up brutes, so if you've got the web throw upgrades it's still pretty good since you can throw them afterwards. My favourite thing about Web Blossom though is that if it hits enough guys it can easily fill a Focus bar, so you can web up a bunch of dudes and then follow up with takedowns to take out a couple more. I think one of the most helpful things is not feeling like you are married to the loadout you've been using. 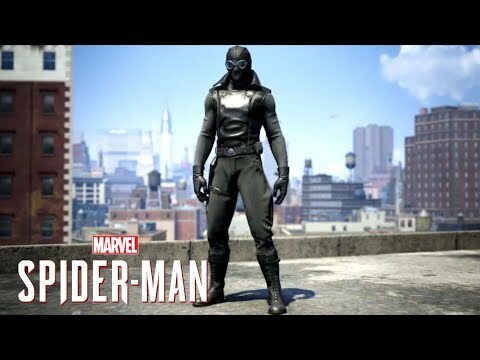 I was really struggling with some of the Fisk hideouts and once I started using the Web Blossom (such a cool visual by the way) things got much easier. Yeah, definitely. I'll swap around suit upgrades sometimes too, e.g. to swap in a stealth upgrade before going after a base. I wish there was a way to define a couple different loadouts and then quickly swap between them. 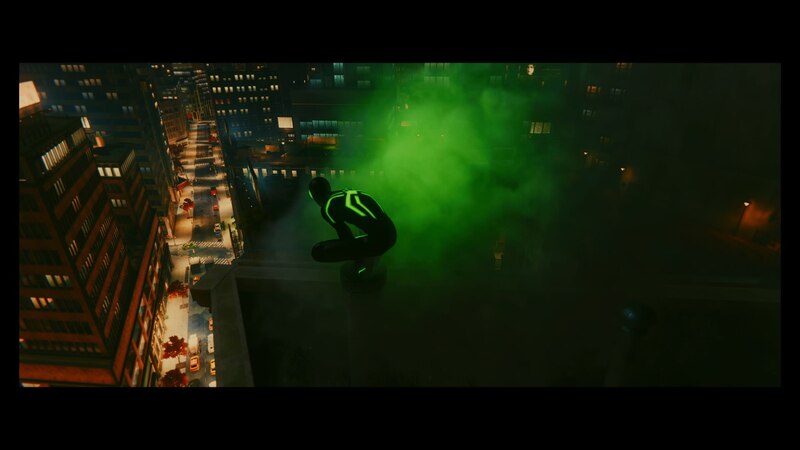 I'm not sure if there's a point where you're locked out from changing suit powers, but if you get past a stealth takedown section where the Spider-Bro for instance might work better, you can swap back to Web Blossom or the guitar shredding power from the Spider-Punk suit before moving on. I've yet to encounter being locked out of changing powers. There have been some boss fights where I realized I have Spider-Bro or the electric gauntlets, but those aren't as useful as being able to build the focus to heal myself and just switched in mid-combat. I've noticed lockouts where the 'suits' tab isn't available, but it's been almost exclusively during scripted events like when you investigate the warehouse with Officer Davis. I finished Act 1 today - I did not expect the story to take that turn. I have not unlocked Challenge tokens yet - I expect that to be soon. 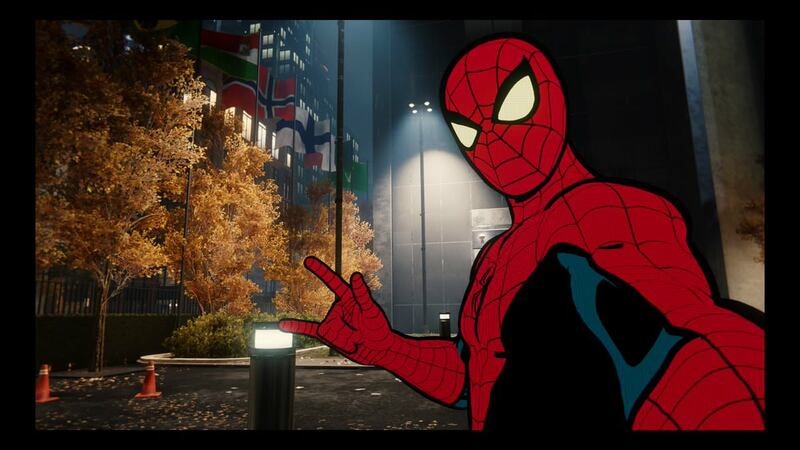 Swinging around the city is still just as fun. This may pick up my "Game Traversal of the Year" award. I just unlocked challenge tokens, much later than expected. I would say that i am about 3/4 through act 2. my percent meter reads 50% on the savegame, but I've also fully completed several collection things like backpacks, kitty statues, and 4 or 5 side quests. thrawn, the event that led to the unlocking of challenge tokens for me happened before I completed the mission you describe. Not a ton before, but I only just last night completed the mission you reference, and I'd been picking up challenge tokens for a few hours earlier in the game. I wonder if it's tied to your level or completion progress rather than story progress? Hmm that's possible. I had just tipped over to 25 after that mission. 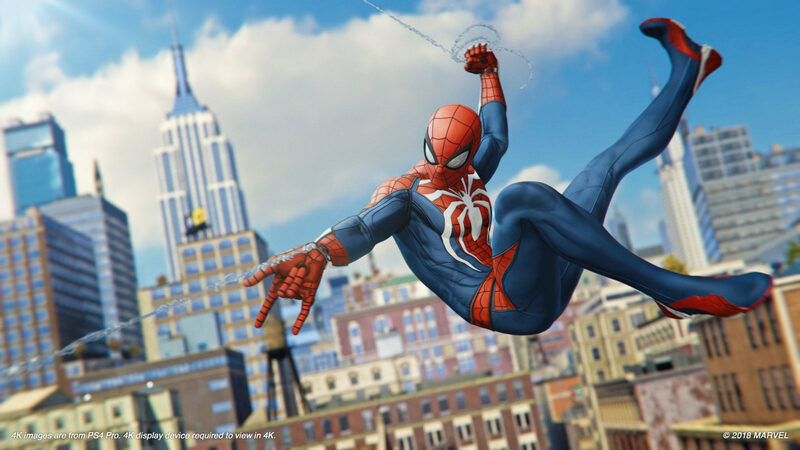 So I love the trick moves during web swinging, but I am really worried that I love them too much. It reminds me of Tony Hawk games where I'd get greedy during tricks and end putzing everything up. And I will admit I cried at the end of the main storyline. Yup that ending was great, the acting was amazing in it as well for a game I was pretty blown away. I know I'm tempted to just buy it digitally and play NOW. But it's my birthday tomorrow and I know I'm getting Amazon gift cards. Maybe next week.